(by Leada Gore, AL.com) – The final debate of the 2016 presidential race is set for Wednesday night and the fireworks could fly between Republican nominee Donald Trump and Democrat Hillary Clinton. The third presidential debate of the election season is set for Wednesday (Oct. 19) starting at 9 p.m. ET (8 p.m. CT) and will run for 90 minutes with no breaks. It will be aired online and on all networks and major cable channels. Chris Wallace of Fox News will moderate the debate. According to the Commission on Presidential Debates the topics will include: debt and entitlements, immigration, the economy, Supreme Court, foreign hot spots and the candidates’ fitness to be president. As in the first debate, the topics were selected by the moderator and announced at least one week before the debate. The last topic could be the trickiest, as it comes just as Trump is dealing with allegations regarding his sexual behavior towards women and as Clinton is faced with a barrage of leaked emails from her time as Secretary of State that reveal among many questionable actions, Hillary Clinton stating in 2014 that the Saudi and Qatar governments fund ISIS and the Clinton Foundation taking $1 million from Qatar for a 5 minute meeting. 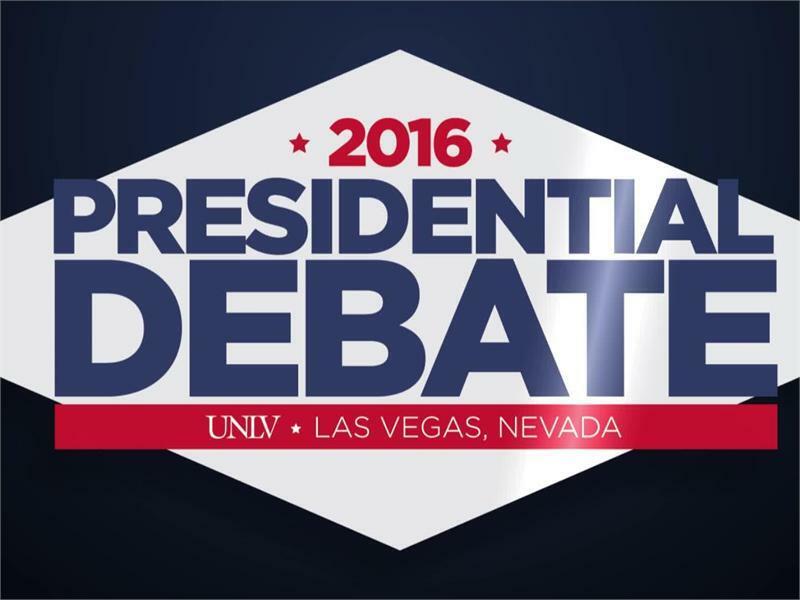 The debate will be held at the University of Nevada in Las Vegas with each of the topics addressed during six 15-minute time segments. The moderator will open each segment with a question, after which each candidate will have two minutes to respond. Candidates will then have an opportunity to respond to each other. The moderator will use the balance of the time in the segment for a deeper discussion of the topic. Wednesday’s debate was the final chance any third party candidates to make the main stage. Any candidate taking part in the debate must show they have support of at least 15 percent in the average of five pre-determined national polls: ABC-Washington Post; CBS-New York Times; CNN-Opinion Research Corporation; Fox News; and NBC-Wall Street Journal. Those averages show Clinton at 46 percent and Trump at 40 percent. Libertarian Gary Johnson polled at 7 percent and Green Party candidate Jill Stein at 2.2 percent, not enough to garner an invitation. Reprinted here for educational purposes only. May not be reproduced on other websites without permission from AL .com. NOTE: Check out Student News Daily’s Presidential Election Page, which includes a Presidential Debate Worksheet for students. 1. List the time and place for the third and final 2016 presidential debate. 2. What is the format for this third debate? 3. a) Who were the moderators for the first two debates? b) Who is the moderator for tonight’s debate? 4. List the topics that will be covered in this last debate. 5. a) What are (government) entitlements? Be specific. 6. a) Who are the third party candidates in this election? b) Where do they stand as far as participating in this debate? c) Ask a parent: how important is it to you that the third party candidates be included in the debate? Would it add to, or take away time from, the top two candidates? Please explain your answer. 7. a) Many Americans develop their perceptions of a debate based on news coverage following the debate. How important do you think it is for voters to watch the debate themselves and come to their own conclusions about the candidates? Explain your answer. b) Do you think voters should rely on “debate analysis” from the media? Explain your answer. c) In addition to watching debates, what else should voters do to learn about the candidates? If it is true that the news media blatantly supports Hillary Clinton and is biased against Donald Trump, where do you think voters can get accurate information about each candidate? NOTE TO STUDENTS: This election is very important. It will determine what direction our country goes in – the next president will have an impact on the type of country this will be. Spend time talking to parents, grandparents or another adult whose opinions you respect about the issues surrounding this election.